London: An evening of poetry, performance and films from and about the circumpolar North. The Arctic climate is transforming at an alarming rate – with rising temperatures, melting ice and changing ecosystems. Areas that were previously inaccessible are now opening up and bringing changes to the economy and communications. Life for local inhabitants is changing fast. Following COP22 (7-18 November 2016), Jessie Kleemann, Inuit poet and performance artist, and Niillas Holmberg, Sámi poet, musician, actor and activist will perform work that reflects on the Arctic region and the current global political issues that it is facing. 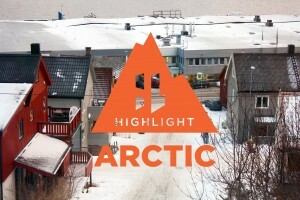 We’ll also present two films about life in Arctic communities. We’ll start the evening with a screening of Pitaqangittuq (32 mins) and invite you to stay for a screening of Hollow Earth directly after the performances (23 mins). With thanks to the Embassy of Denmark in the United Kingdom and the Embassy of Finland, London.